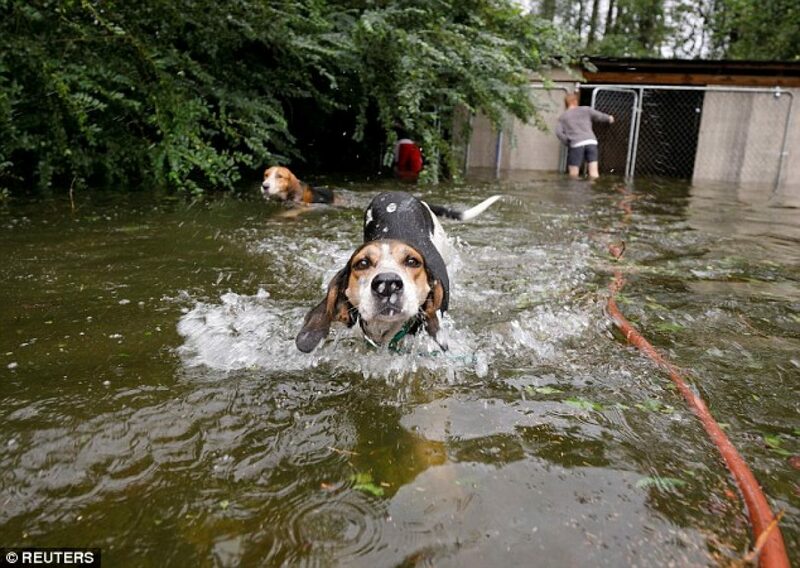 Ryan Nichols, a Hurricane Florence volunteer, is being hailed as a hero after he rescued six dogs locked in an outdoor cage desperately trying to save themselves from drowning in the fast rising floodwaters. A video posted on Twitter by journalist Marcus DiPaola shows the poor dogs barking incessantly standing on their hind legs, waiting desperately for someone to save them. “Rescued six dogs in Leland, NC, after the owner LEFT THEM locked in an outdoor cage that filled with flood water that was rapidly rising,” DiPaola wrote on Twitter.